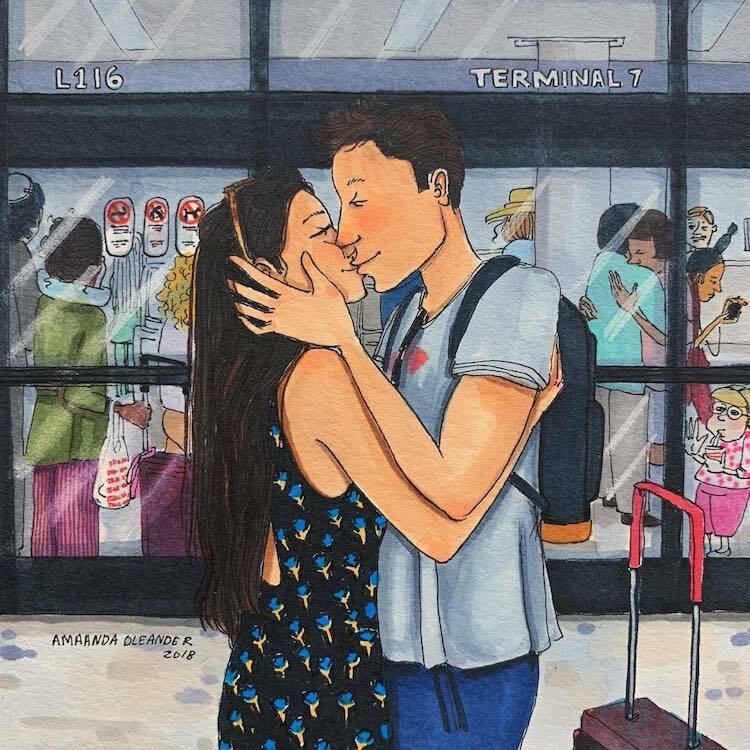 Los Angeles-based artist Amanda Oleander is known for her charming drawings “depicting life behind closed doors.” Intended to show what love looks like, her illustrations frequently feature intimate scenes inspired by her own life—namely, her loving relationship with her fiancé. 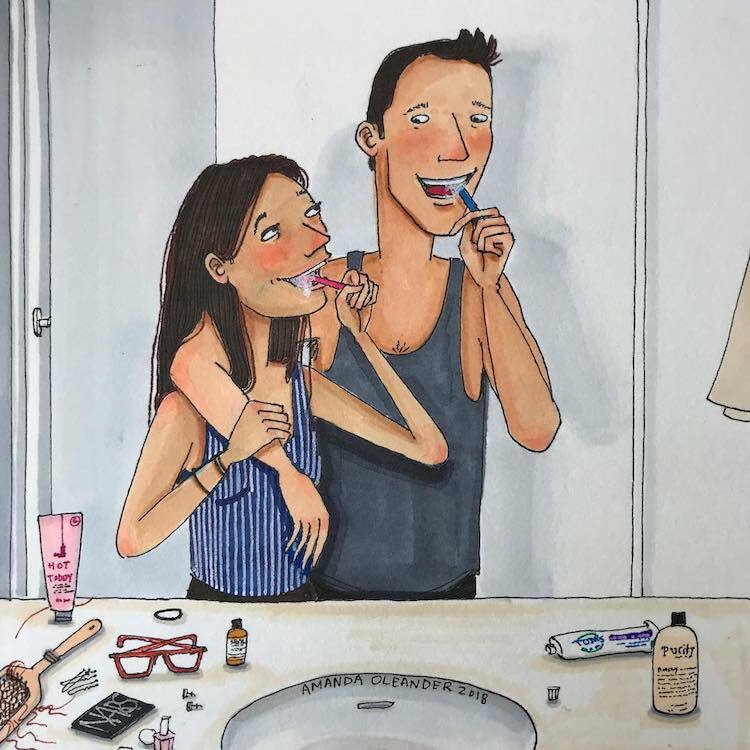 In these charming illustrations, Oleander offers an honest look at the couple’s everyday experiences. 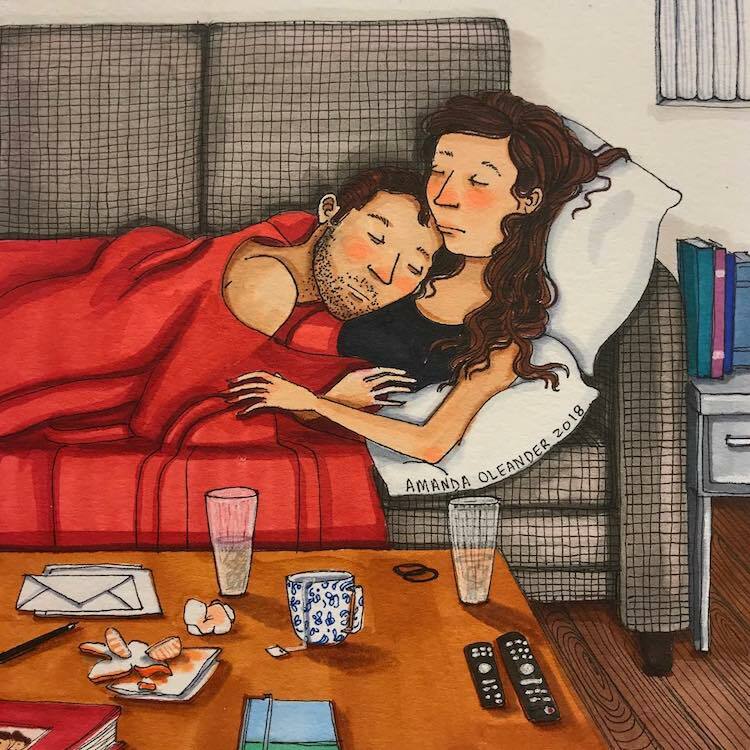 Often, the scenes are set in the home that they share, highlighting the beauty of simply being together. 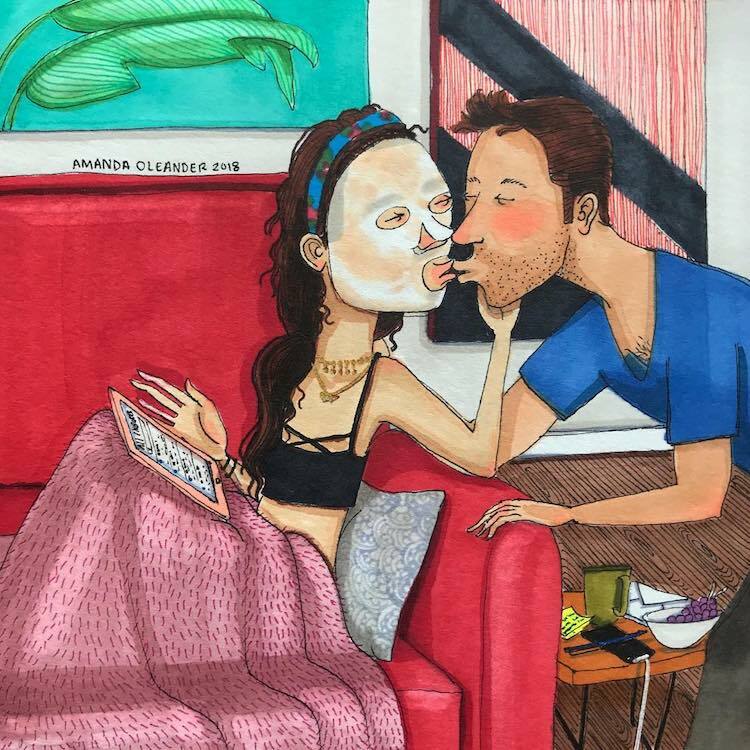 Whether spending the whole day as couch potatoes or having a quick smooch through a face mask, Oleander shows that every shared experience is special. 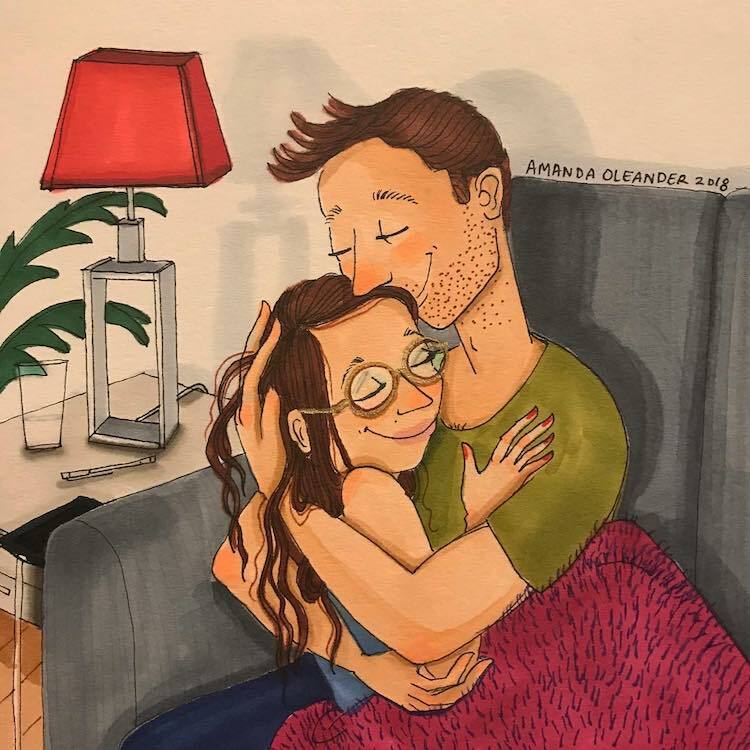 If you’d like to keep up with Oleander’s illustrated life, check out her Instagram. 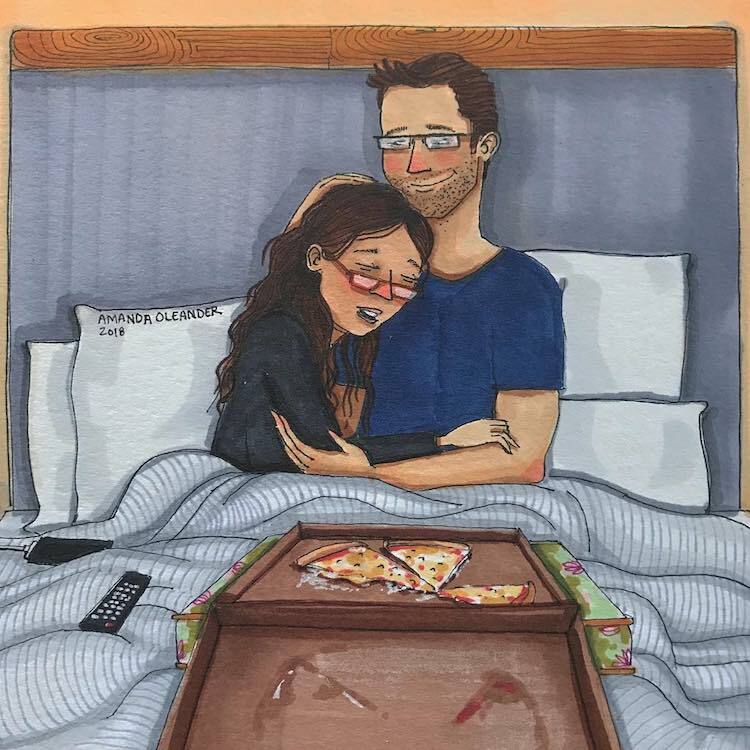 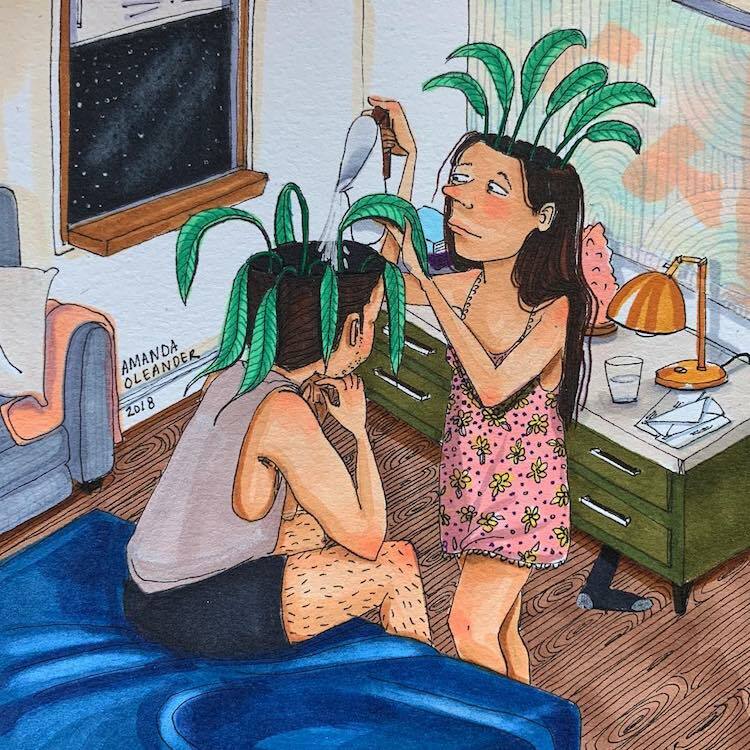 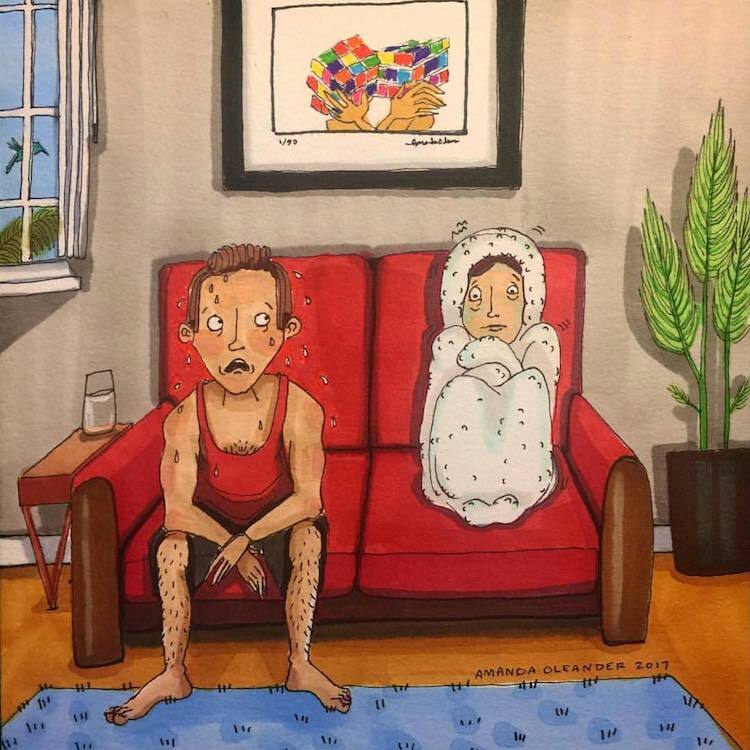 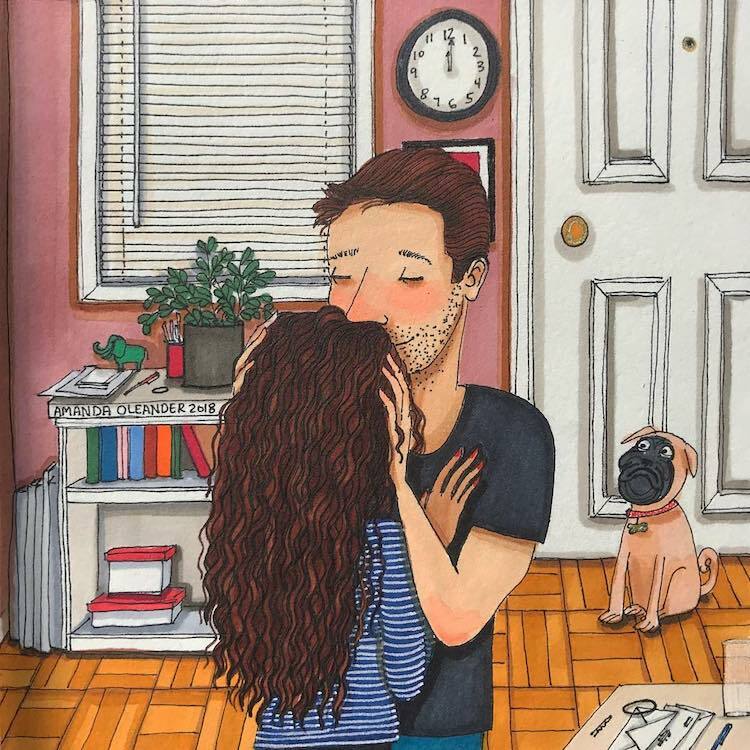 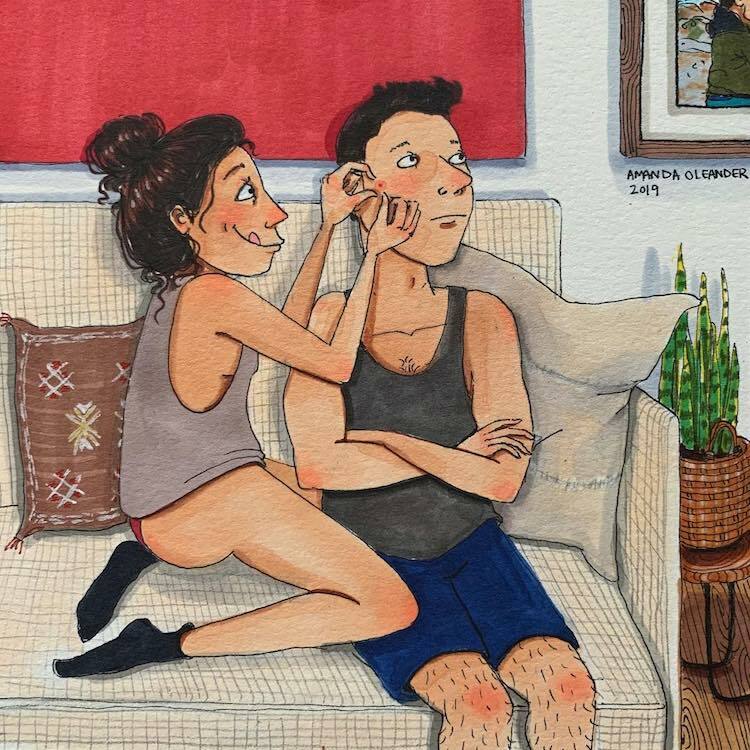 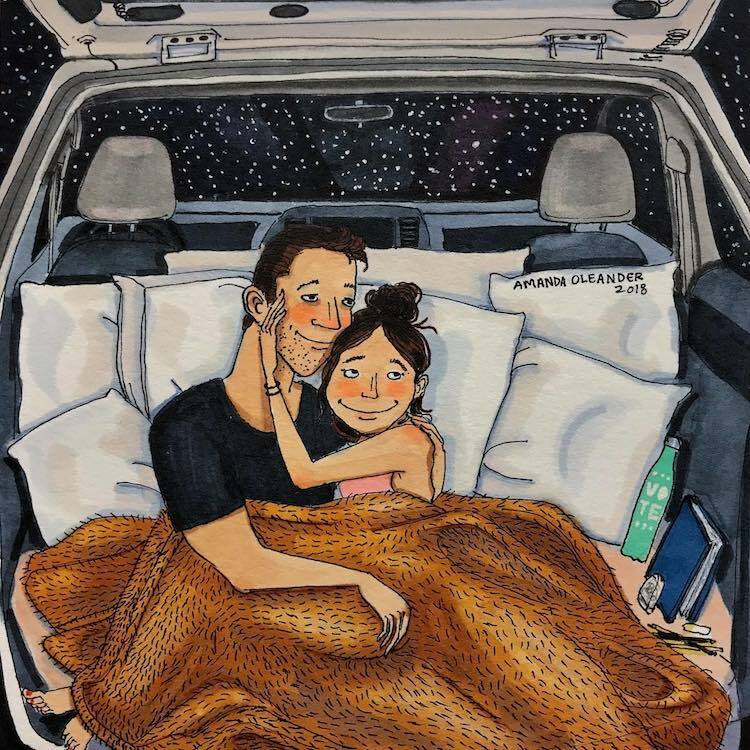 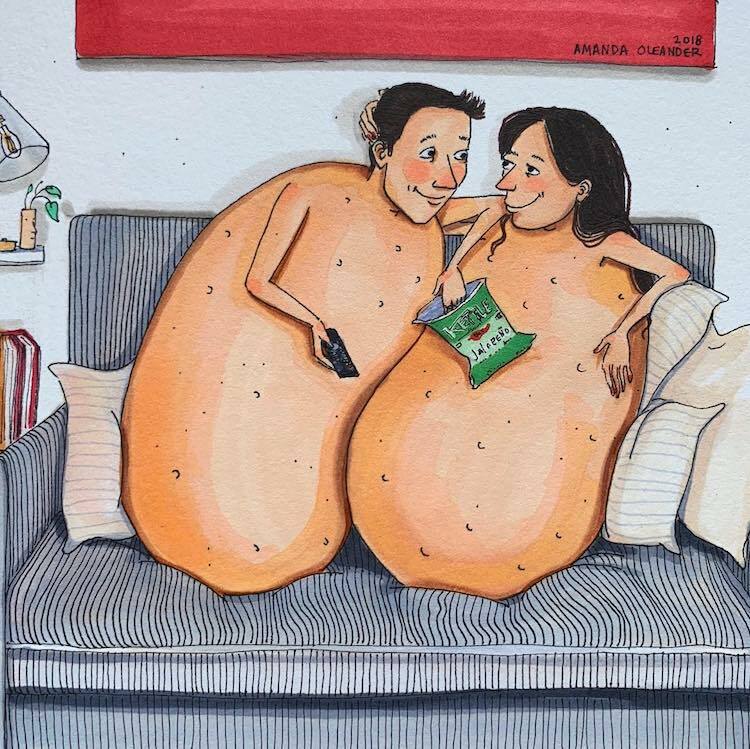 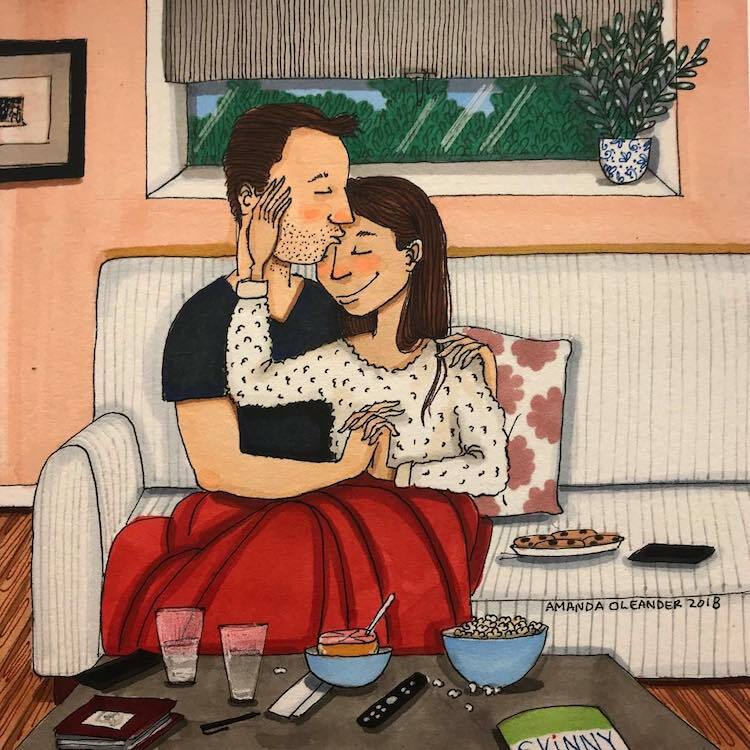 In her endearing relationship illustrations, artist Amanda Oleander offers an intimate glimpse into life with her fiancé. 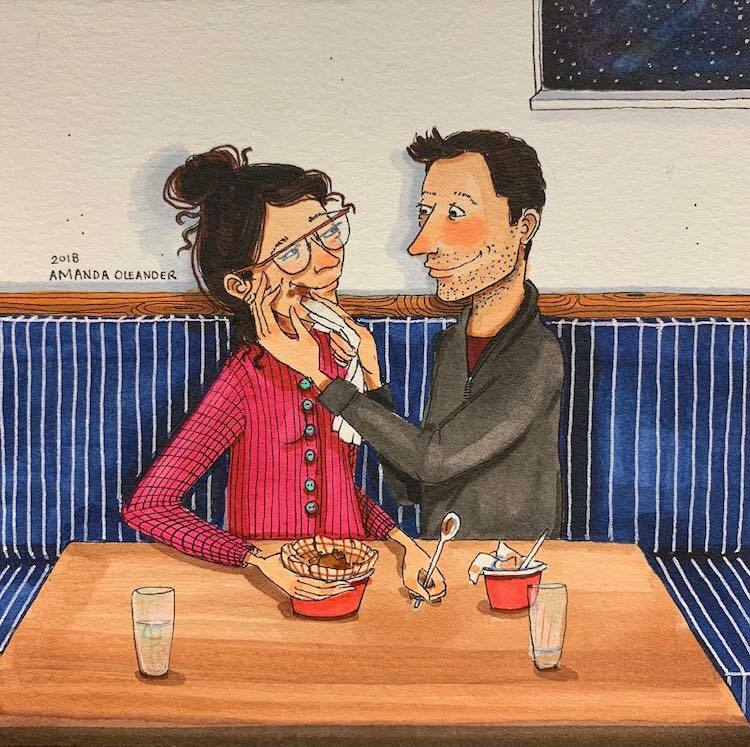 My Modern Met granted permission to uses photos by Amanda Oleander. 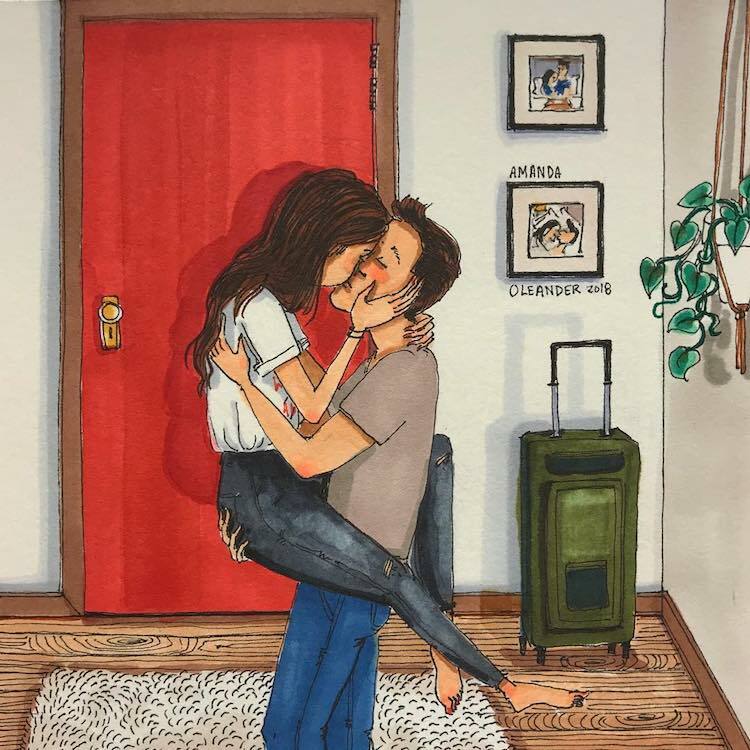 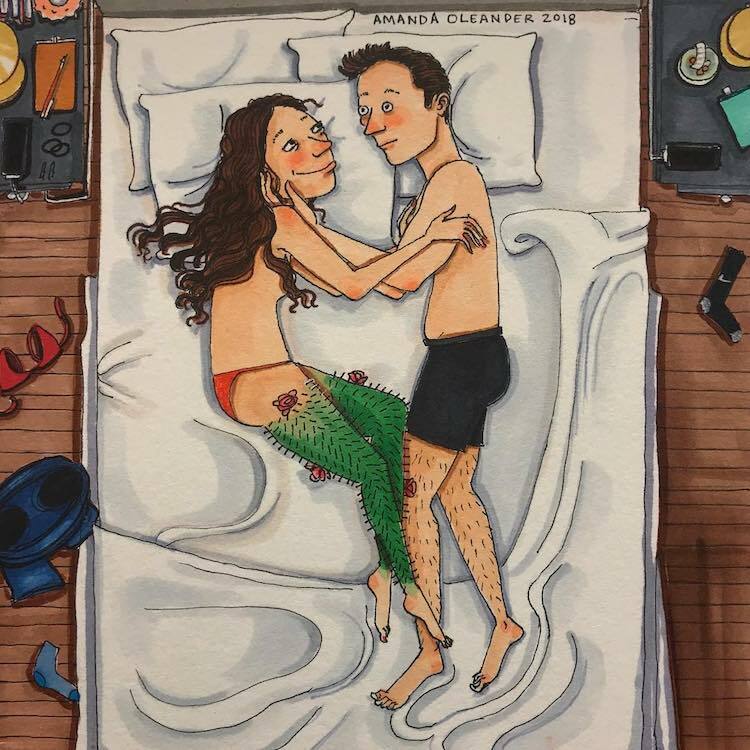 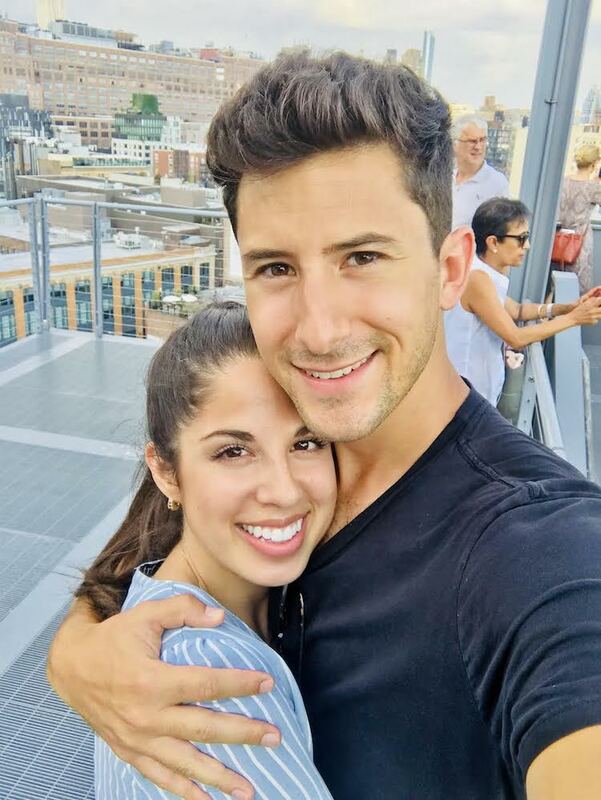 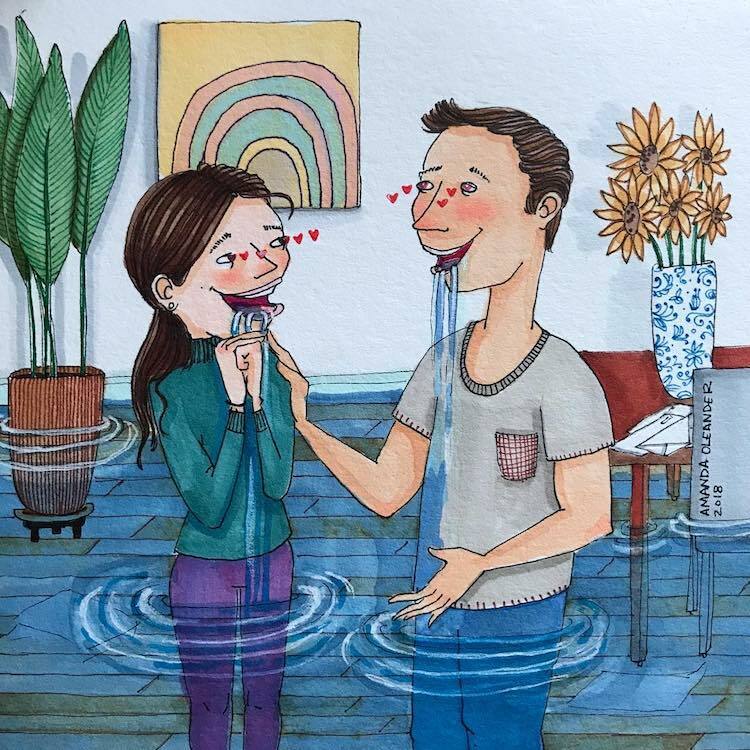 The post Illustrator Shares Sweet Moments of What True Love Really Looks Like appeared first on My Modern Met.